Fort Baxter has produced some of the very best Elvis import CDs in the past 13 years. These include their earliest the excellent 'Just Pretend' 1975 concert, the two 'A Profile The King on stage' box-sets, ‘Opening Night 1969’ and ‘Desert Storm’. In some way their success helped start the official FTD Fan Club series. Nowadays FTD manages to satisfy most fans' insatiable desire for new Elvis material and the bootleg market has dwindled. In fact, a fair amount Fort Baxter's material has now been released by FTD and in better quality. However in a clever marketing exercise ("celebration" they say) Fort Baxter have now released a 'Greatest Hits' which gathers together some of their rarest & best Elvis material. Kicking off with the rockin' 'Baby What You Want Me To Do' from the Opening Night 69 CD (which it actually isn't) through to the fabulous unreleased 'My Way' from one of Elvis best 1977 shows in Ann Arbor, this is a very clever compilation. A lot of these tracks truly deserve an official release whether it be Elvis' only live performance of ‘Good Time Charlie Got The Blues’ from Opening Night Aug 1974, ‘It's Midnight’ from Desert Storm or Elvis' only (passable) live attempt at ‘Moody Blue’. There are also a couple of exciting rehearsals for TTWII, including ‘Suspicious Minds’, plus the weird & wonderful like ‘Jambalaya’ from 1975. My only complaint is that some tracks have already seen official release and in better quality. There is no point in including 'Steamroller Blues' when it was one of the best tracks on 'Platinum'. Similarly 'You're The Reason I'm Living' was on the Live In Las Vegas box-set. However you do get a wonderful taste of the power of Elvis in his last great tour in late 1976 with 'See See Rider' from Dallas December 28th. Elvis is just bursting with an energy & enthusiasm that had been missing for far too long, possibly because of new love Ginger Alden. Thankfully FTD have already suggested that an official live December 76 CD is planned. 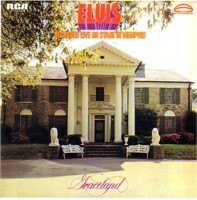 'Polk Salad Annie' from 1972's Elvis At Full Blast is a treat too. With an extended intro, full of energy, and with Elvis on a natural high reacting with the crowd this is a gem and also features a great guitar solo from James Burton. There are also 2 previously unreleased treats of 'Make The World Go Away' & ‘Something’ both from the Jan 27 1971 Dinner Show. 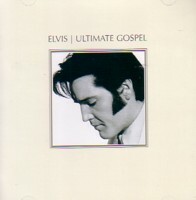 ‘Something’ has an unusual “shove it up your nose” ending plus a slight reprise and is not the known version from the (Midnight Show) bootleg ‘All Things Are Possible.’ Overall this CD truly is a terrific celebration of (unreleased) Elvis Live and given FTD's mandate to counteract the bootleggers and satisfy collector's desires I expect to see several of these tracks officially released in the future. EIN advocates the support of FTD releases since bootlegs do deprive all the musicians of their deserved income, however if you do get a chance to explore this CD it is a real thrill. The 8-page booklet features some cool photos of Elvis as well as some details of Fort Baxter's past releases. 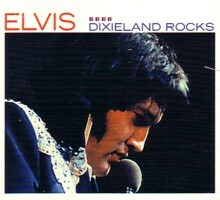 It also includes Elvis’ own hand written lyric sheet for ‘America’, which strangely isn’t actually on the CD. 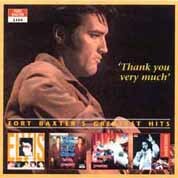 Verdict - While serious Elvis collectors might already have most of Fort Baxter’s original CDs, this compile is a clever encapsulation of some magnificent & officially unavailable Elvis material. Definitely worth searching out. Read EIN's review of " Bilko's Gold Cuts"